KOOL KAR AUTO REPAIR: Did You Know??? Automobile Manufacturers do everything they can to make their vehicles lighter. It's an easy way for them to improve fuel mileage and power to weight ratio without changing computer controls and expensive engine parts. One of the results of this has been the reduction in the heat capacity of the cooling system. Manufacturers have downsized the radiator and replace copper and brass with aluminum and plastic. This works great overall...BUT... Did you know that your vehicle's cooling system can alter the the a/c system efficiency? Most cars and light trucks have the radiator located at the front of the vehicle. However between it and the grill is where the A/C system condenser sits. When your vehicle starts to run hot, it reduces the condenser's ability to remove heat from the refrigerant that passes through it. In addition to that, the heat build up can cause pressures on the high pressure side of the system to rise and this can lead to damage in the compressor. At Kool Kar Auto Repair, we understand all of this. Bring your car or light truck by today and get the Cooling system checked if you are experiencing even slight over heating. Kool Kar Auto Repair... Azle's Most Trusted Auto Repair Specialists." } Automobile Manufacturers do everything they can to make their vehicles lighter. It's an easy way for them to improve fuel mileage and power to weight ratio without changing computer controls and expensive engine parts. One of the results of this has been the reduction in the heat capacity of the cooling system. Manufacturers have downsized the radiator and replaced copper and brass with aluminum and plastic. This works great overall...BUT... Did you know that your vehicle's cooling system can alter the a/c system efficiency? Most cars and light trucks have the radiator located at the front of the vehicle. However between it and the grill is where the A/C system condenser sits. When your vehicle starts to run hot, it reduces the condenser's ability to remove heat from the refrigerant that passes through it. In addition to that, the heat build up can cause pressures on the high pressure side of the system to rise and this can lead to damage to the compressor. 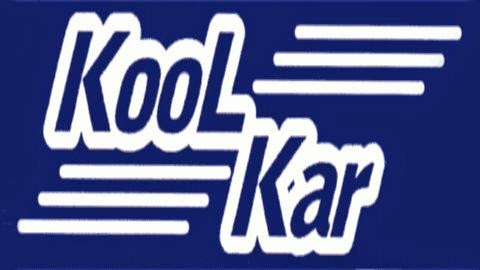 Kool Kar Auto Repair... Azle's Most Trusted Auto Repair Specialists." Emily, Thanks for your comment. What I was saying there is if your cars engine is running hot it can alter the performance of your air conditioner. I was referring to the engine cooling system.